Glass, mirrors, stained-glass windows - these materials firmly occupied positions in the modern interior. Those who prefer to do everything with their own hands, sometimes lack the skills of proper handling of glass. For example, not everyone can drill a hole in the glass. The material is expensive and fragile. The slightest violation of technology can cause cracks. Before you drill a hole in the glass, we recommend that you familiarize yourself with the safest ways of drilling. You can use special drills to drill glass. At the end they have a pointed carbide plate and they are called spear-like drills. 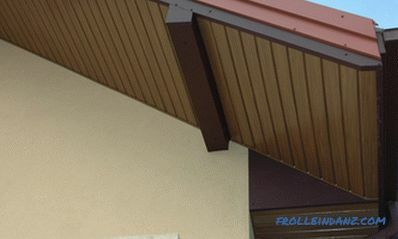 Drilling crowns are used to obtain a hole of a large diameter. They are available with an abrasive coating, most often with a diamond. It should be noted that today there are diamond-coated drill bits with a small diameter, for example, 8 - 10 mm. And the safest way to drill is with such crowns rather than with spear-shaped drills. Spear-shaped drills for glass and ceramic tile. Crowns on glass and ceramic tiles. 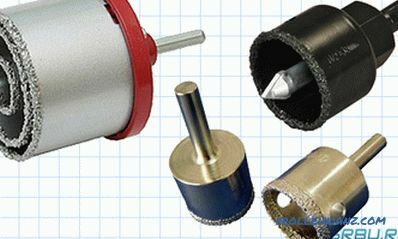 If there is no special drill, you can use a carbide drill for concrete. Now a little about how to drill glass with a conventional metal drill. In this case, two conditions must be met. First of all, the drill should be new and sharp. A dull drill cannot be taken into work. Secondly, before drilling the glass, the usual drill must be hardened, which may not always be possible in the condition of home workshops. 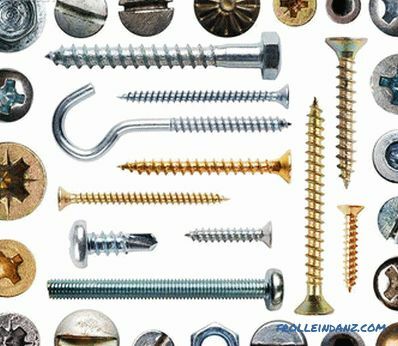 Drills for metal and concrete are not similar in shape to special drills for glass. It is necessary to work with such drills with the utmost care and accuracy, and it is best not to use them at all and to purchase a special spear-like drill or crown, which was discussed above. As for the drilling tool, a conventional bat electric drill or screwdriver will do. To prevent the glass from cracking, you must first lay it on flat surface It is necessary that the glass adjoins on the entire plane to the surface. This is the same prerequisite as when cutting glass. Drill hot glass will not succeed, because when you try to drill, it will crumble into small pieces. To start drilling safely, make a stencil. 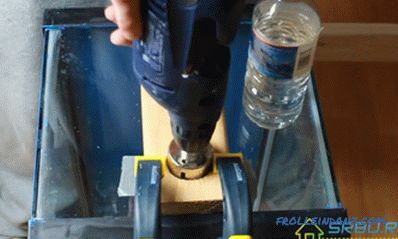 To do this, take a small piece of fiberboard or plywood and make a hole in it of the diameter, which is supposed to be drilled in the glass. Before you start drilling, put this stencil in the right place - this will not allow the drill to slide on the surface. The drilling site must be constantly wetted. For this you can use water. you can wet the drill from time to time by simply dipping it into the water. 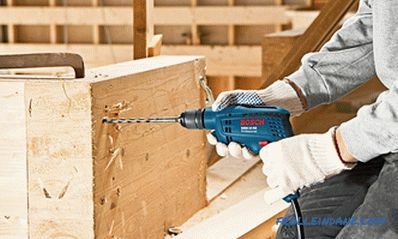 It is necessary to adjust the rotation speed of the electric drill. It should be no more than 400/700 revolutions per minute, i.e., simply speaking, it should be small. 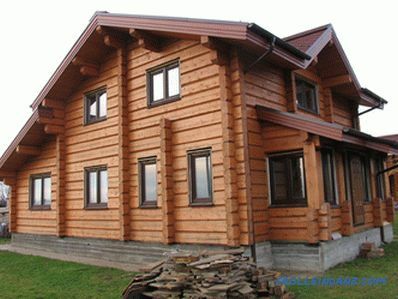 It is necessary to work with a drill extremely carefully, without pressing the glass. The deeper the drill sinks into the glass surface, the less you have to press the drill. The less is left to drill, the lower the speed should be. Especially careful to act when the drill goes through. Uniform drilling and regular watering ensure a good result. If you need a large hole and you work with a crown, then the main thing is to hold the drill so that the crown is strictly parallel to the surface of the glass. Sharp movements from side to side are not allowed. Make sure the cropping goes evenly around the entire circumference and do not allow the crown to eat more from one edge of the circle than from the other. Drilling glass is similar to drilling ceramic tiles, you can read more about this in the article: / stroitelnye-raboty / 70-kak-sverlit-keramicheskuyu-plitku. html.